United Trade Links is a reliable Australian contactors specializing in all types of construction and maintenance projects throughout Sydney. We pride ourselves on our work and value the long-standing relations we have established with our clients. We have over decades of experience as reliable contractors in Sydney working in the commercial, industrial and residential sectors. We have the experience to tackle any kind of job. Whether you want a renovation work to be carried in your property, repair carried out in your roof or in need of window furnishing solutions and carpentry services, we have you covered. 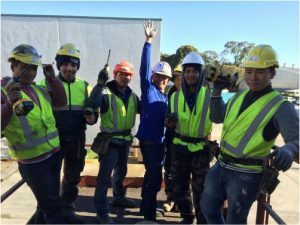 Initially starting as a small business, now we have completely transformed into a full-size company and hold repute of the most professional contractors in Sydney-wide. We believe in a fair and transparent process to ensure the expected result in the given time and the budget. We will keep consulting you at every stage of your project to ensure the final results match the desired outcome. We are highly experienced and can assist you at any level of construction project ranging from site management to constructing the foundation. 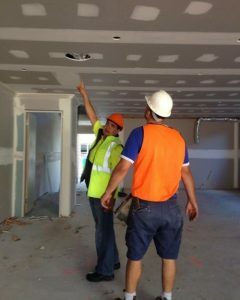 You can count on us if you are looking for a right and trusted contractor for your construction or maintenance needs. Call us for more information. Our team is skilful, knowledgeable and reliable. We will recommend you solutions to fit your needs.